You might be fed up with the limitations of traditional employment, but at the same time you are afraid to work all on your own. What if there was another path? Dara Blumenthal shares ideas on how to self-author your work, whether you choose to be employed or self-employed. She is a social scientist, organizational designer and facilitator who’s on a mission to make work more human. 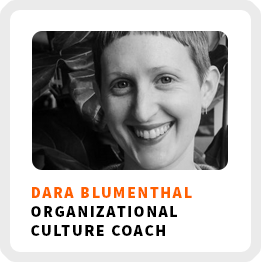 At the time I interviewed her she was striking out on her own, she had just left her position as Head of Culture and Strategy at Live Grey, an organization that provides programs to reimagine work. Since our interview, she has made another pivot in her career. She’s now working for Spencer Stuart, a global leadership consultancy in their leadership advisory services. What it means to grieve at work to let go of what you’ve been working on to make room for work you are moving toward. 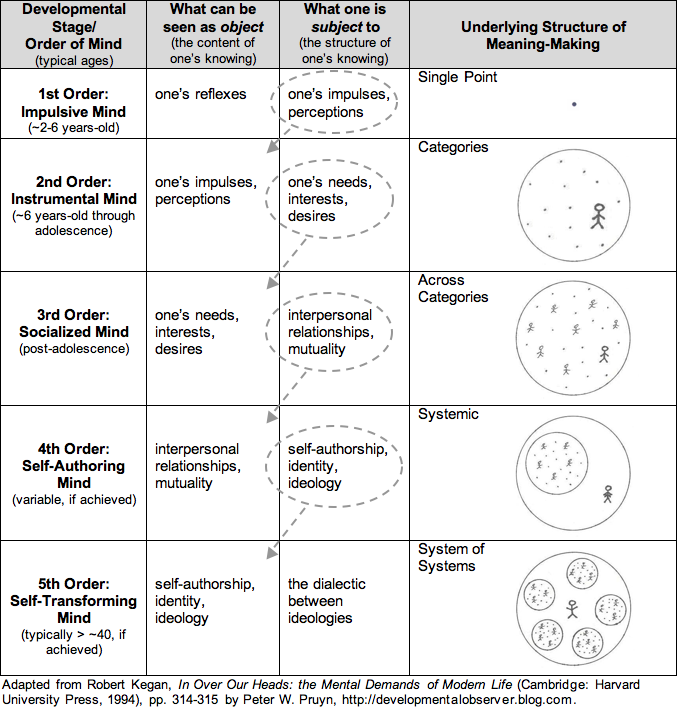 The 5 stages in Robert Kegan’s adult developmental psychology model. Dara discusses how she is moving beyond the paradigm of either working for someone else or working for herself. Ideal work environment: In multiple places – partly in her home, partly in a classroom setting for workshops and training sessions – with other people, sometimes in the office coaching teams, and sometimes in virtual sessions with people. Self-reflection practice: Meditating every day for 30 minutes and keeping her calendar clean. Regains focus by: Meditating and talking to people she loves and trusts. 90-day goals: Do nothing for at least a couple weeks, develop some courses with her colleague, find some coachees, and maybe a consulting project. 1) Find a way that isn’t hugely emotionally or energetically draining. That could be one-on-one, in small groups, or otherwise. 2) Find a way to connect that also lets you be yourself in the process. 3) Don’t feel like you have to build a community with lots of people. Kegan’s 5 stages of adult development.